Fans of Game of Thrones are pretty pumped for it’s six-episode, eighth and final season happening next year, but if you’re a sneakerhead too, adidas have made the occasion a little bit sweeter. Thie adidas x Game of Thrones Collection is set to include a bunch of adidas Ultra BOOSTs set to GOT House themes. 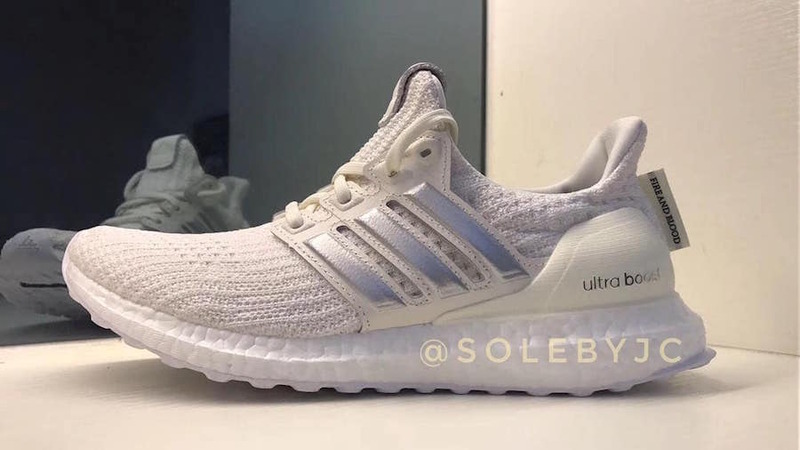 One of which is the adidas Ultra BOOST “House Targaryen”. It comes decked out with a cream and white Primeknit upper with a matching cage and heel counter. Silver Three Stripes, a back tab that reads “Fire and Blood” all arriving on a pure white BOOST midsole and white rubber outsole. Still no deets on the impeding release, but we’re expecting that the adidas Ultra Boost House Targaryen will release in and around the airing of the GOT final season.